In early 2016, southern California awoke to the harsh reality that reliable operation of the regional energy system might be tied to a single aging natural gas storage field called Aliso Canyon, where a catastrophic blowout that started the previous October was not closed until February. So while Southern California Gas Company got to work to repair the facility, several government and private institutions also went to work assessing whether the facility was actually needed in the first place. Last week multiple state agencies issued a verdict that Aliso Canyon is now safe, and giving the green light to increase the gas stored in it on a limited basis. The decision caused an outcry from nearby residents, but it should also be a concern for utility customers throughout the region. But what if we don’t need the facility at all? Why take the risk? The latest analysis strongly suggests we don’t have to. After the massive leak, state elected officials passed a piece of legislation, SB 380, writing into law a preference for minimizing or eliminating use of the Aliso Canyon natural facility so long as the region could maintain reliable gas and electric service. Even if Aliso Canyon could be operated safely, the law is clear that closure should be the course of action if those conditions hold. Aliso Canyon is one of several underground storage facilities that supply gas to the region’s electric generating plants, as well as direct household and industrial uses. The answer to whether it’s necessary depends entirely on the timeframe evaluated (e.g. needed over the summer, for next winter, at any point in the next 10 years, etc.) and the actions California takes — or doesn’t take — during that time. On one side of the debate over need, SoCalGas has long argued that Aliso canyon is needed to maintain reliability in both the short and long term. Studies by state energy agencies mostly support that assertion – in particular for the short term. As recently as last week, for example, the California Public Utilities Commission (CPUC) released figures saying that Aliso Canyon needs to hold about 23 billion cubic feet of gas (roughly 28% of capacity) to ensure reliability in the case of other gas outages. On the other side though, analysis shows the utility and state estimates may be overblown. For example, a detailed set of comments and examination filed by EDF (prepared with assistance from Skipping Stone LLC) with the Commission yesterday strongly suggests that the facility is likely not needed – either in the immediate timeframe or in the next 10 years. 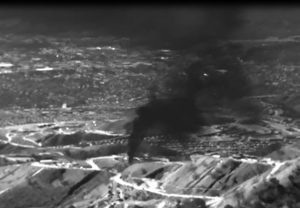 This analysis shows that demand previously met by Aliso Canyon can be supplied by a combination of gas already being imported from out-of-state or available at other existing storage fields, combined with sensible policies like gas market refinements that reduce the overall need for storage sites like Aliso canyon. With a storage volume of nearly 50 billion cubic feet in three neighboring storage fields, and the ability to rapidly charge and discharge, the study says that SoCalGas can deliver more than sufficient quantities of natural gas into southern California on a moment’s notice, and refill the reserves in a matter of days. If these fields are maintained between 70% and 80% full, according to Skipping Stone, maintaining overall energy reliability is not an issue. Skipping Stone and EDF also said that new forecasting policies can improve overall reliability without Aliso Canyon. If California requires SoCalGas and other parties using gas in the region to do a better job predicting demand ahead of time and aligning gas purchases with those projections, the need to keep inventory stored in these facilities for reliability will be dramatically reduced. Therefore, rather than providing seasonal assurance and opportunities price arbitrage as it does today, existing capacity can be streamlined to support real-operations and needs of the energy system, leaving more than enough extra capacity on the system to ensure reliability even in extreme circumstances. On August 1, 2017, the CPUC will hold a public meeting to continue research and modelling necessary to look at the short term and long term need of the facility – and the overall process is expected to take a full year. What is clear from this process– even if the facility is found to be safe – is that the need for Aliso Canyon (and any policies the state can pursue to minimize that need) must be incorporated into any decision about its long-term future.